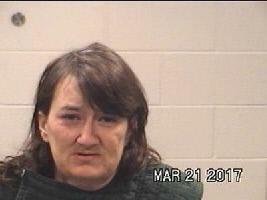 Woman Allegedly Assaults Man, Endangers Child, Resists Arrest, LIVINGSTON, March 21, 2017 - On March 20, 2017, the Polk County Sheriff’s Office, received a 911 call advising of an assault in progress in the Oak Terrace Subdivision, behind the Dollar General off 3126. The victim, Alan Moore, was able to get into his vehicle in an attempt to get away from the aggressor, Amy Howell, 41, of Livingston. Witnesses stated that Howell got into her vehicle and chased Moore striking his vehicle several times with her vehicle. Narcotics Lieutenant, Andy Lowrie, with the Polk County Sheriff's Office, was able to locate Howell as she was leaving the parking lot of the Dollar General Store where she had chased Moore. Lieutenant Lowrie was able to conduct a traffic stop on Howell in Oak Terrace. Howell refused to follow the commands of Lowrie and had to be forcibly removed from her vehicle and restrained with assistance from other Sheriff’s Office personnel. While gaining control of Howell, the detectives discovered Howell also had her 12 month old son in the back seat in a car seat. Child Protective Services and an Ambulance were both summoned to the scene to check on the wellbeing of the infant. Amy Howell was booked into the Polk County Jail for resisting arrest search or transport, abandon or endangering a child and aggravated assault with a deadly weapon. The infant was turned over to his father and grandmother. At time of press, a bond has not been set on Howell's confinement.